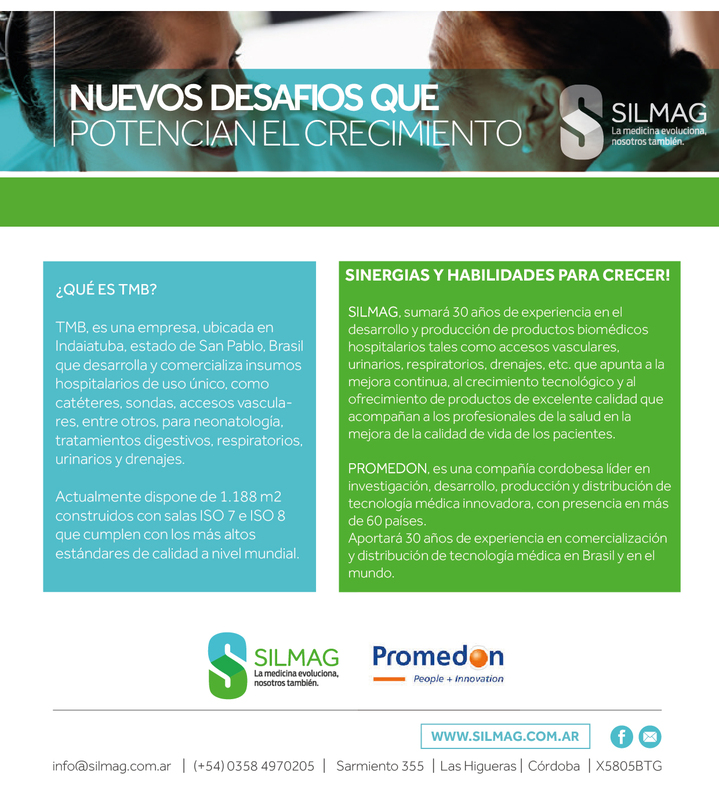 To continue with its strong focus on the biomedical product market, which expands and complements our portfolio of solutions, SILMAG S.A. has signed a Strategic Partnership agreement with the company PROMEDON GROUP to jointly develop the company “TMB” in Brazil (TOTAL MEDICAL do BRASIL Ltda. www.tmb.ind.br) which will manufacture and market hospital products in LATAM. By means of this agreement, both companies expect to expand their growth potential and advance their joint aim of leading the regional market.